From 2008 to 2014, Chinese shipyards had thought they had conquered the world rig building industry by giving free finance with 5% down payment and nothing more to pay until delivery. At that time, it seemed too good to be true. Fast forward to the present day where there are countless rigs awaiting reactivation. The attraction of this almost free financing seemed too good to miss and brought out companies that had little or no experience in the rig building industry offering them the chance to make a quick buck. All these companies had to do was invest 5% of the cost of the rig and then turn it over before completion. It would be easy to sell the rig back into a market that seemed to have an inexhaustible demand at this time, or so it seemed. Furthermore, some of the new companies saw the chance to start up new rig contracting operations and to take advantage of the market conditions with cheap finance. As we learn from past experience, the rig market has always been cyclical in nature with boom and busts, however previously the rig construction industry were required to follow normal finance management which included reasonable deposits and staged payments. When we look at the housing market crash from 2008 to 2012 in the U.S., the same principle of giving away upfront capital was applied to the customers, who wanted to purchase new homes with almost 100% finance opportunity. Unfortunately, it didn`t work as planned and housing market collapsed and went into a deep recession period. So what will happen now and how are the Chinese yards going to sell the excess of rigs that former owners walked away from, leaving the shipyard in billions of dollars of debt? Like all recessions, there are opportunities to take advantage of the situation, however, you really need to understand what you are getting into if you are a buyer of one of these rigs. As stated earlier, many of the companies that jumped into this market had little or no experience in rig building and they were not investing in an operational asset, but their underlying intention was to turn over the product, at a premium of 10% or more making a quick $20M. Their principle was to sign the contract and spend as little capital as possible during the building period without having a proper project team, which historically managed the documentation, construction and commissioning ensuring a quality product upon completion. 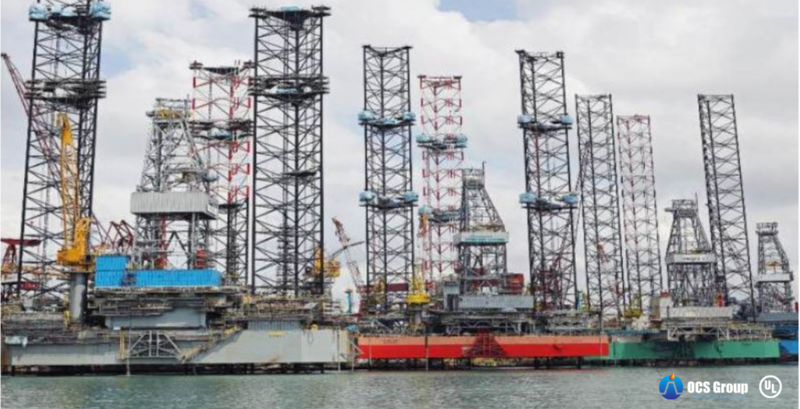 During the boom period, in an attempt to decrease costs there was a shift of mindset and this sector has been severely affected with poor quality management and oversight as a reason of buying cheap substandard rigs – which will not to be sold easily. The more established companies with project and operational experience played it differently. Most of these companies had good and experienced project teams in place. While this did not solve all the problems, it helped to catch much of the poor quality and ensured project control as much as the shipyards and contracts allowed. However, most of them still had extensive problems. Many of these companies will tell you the stories that they have experienced with quality and other factors. These rigs will generate more interest from potential buyers, however they will still require major work to get them into operational condition. This group also is not a winner, and suffered from over exuberance, lack of financial management and risk assessment for any pending recession. However, they did end up with an asset that was possible to get into service, provided some preservation and maintenance, completed on the rig when the market recovered. So, who are, or will be the winners? It depends on your point of view. There will be opportunities when the market slowly starts to recover, and there will be winners, and losers. With the new Jack-Up rigs costing from $180-$220M dollars at the time of build, now these pre-built assets can be purchased from $80 to $90M. This seems to offer some opportunity; however, there will be required significant additional investment to get these rigs into operational condition. Cost range will vary considerably for what preservation/maintenance, if any, from the time construction was completed. In addition, pending the expected drill location and purchasing company these assets may require upgrades or higher standards in order to be acceptable for the potential clients. In saying this, the winners will be the companies that can forecast the market and prepare for the future. New rigs or should I say rigs that have not been in operation can be purchased and put back into operation from between 50 to 65% of their original costs. Most of the major equipment will require an overhaul and rectification of non compliant items or poor practices prior to the rig being ready for operation. Other factors that need to be considered is to get the rigs ready in time for operations and acceptable for clients include a time factor. This factor (to bring these rigs into service) will be vary between assets as previously stated, plus the factors that the amount of resources are used for the rigs. Time expectancy will be around 2 to 4+ months for most of the rigs; two months for those rigs that have been maintained and four or more that have not. The above factors may vary depending on the OEM availability for servicing equipment, modification if required, and deficiency if identified. Before Purchase – what should you expect? It would be highly recommended to have any rig inspected before being purchased. This may sound obvious; however, there are some purchases that take place with minimal due diligence / inspections completed. OCS Group has conducted many inspections of rigs and assisted/managed the reactivation. On inspections, we (OCS) have found deficiencies in the order of several hundreds to over one thousand items to be rectified. These inspections have been prior to oil company’s acceptance of the rigs, and we have worked with both the rig owner for preparation plus contract, the oil company itself for acceptance, and classification societies. Often, if an oil company wants to hire a rig, they will do an inspection before the hire. Once an oil company has made up the mind to accept or take a rig on contract, they will want the rig in operations with minimum delays. As stated previously this may take longer than 4 months for a reactivation, which may be too long for them. In saying this, companies are now looking at longer lead-time planning (12 months +) and preparation in many cases with some pre rig-selection, being conducted now for 2020. Companies that have rigs ready to go and operational will always have preference to win a contract for both known costs required and less problematic project delays, so it will pay the drilling contractors to have selective rigs ready for service. In all cases, the oil companies will want reassurance that the rig is operational and will expect extensive testing/commissioning after inspections are completed. In addition to the rig acceptance, the oil companies will expect to have the crew competency assessments as many of the crew will be new hires due to previous layoffs. I believe the clock is ticking for the Chinese shipyards to survive. They have a short time line to redeem themselves by putting into place a positive plan to have their rigs acceptable for the international market. These rigs should be ready to operate, inspected and tested, not only by themselves for lack of previous rig reputation, but also by an independent company to manage the process to restore some confidence. If the shipyards do nothing, I expect that more of them will fall into bankruptcy in the near future as they cannot sustain the loans and loses being experienced. There is little doubt that these yards are presently being bailed-out by the Government, but for how long can this support last with a crippled industry with little future, especially with the pressure on the Chinese economy? I remembered in 2011/2012 as I said many times, “that the market had gone crazy and was out of control and this would be the first time that we would see new rigs scraped”. This prediction will undoubtedly be experienced over the coming years in China. What the Chinese yards do now is really up to them; however, I think they will find it difficult to recover from this downturn with a lack of confidence to produce to international acceptable standard rigs without solid investments and a strategic plan that will be only achievable with Government or bank financing. The point that that should be noted, it does make sense for the banks or Government to step in, even if they do require to invest an additional $20 to $30M or more in each rig. If the rigs are ready for operation they will probably sell for $110/120M. They will not only get their investment back, but also potentially save an additional $80M that may be lost if the rigs are scraped. The important factor is that they need to be selective on the rigs to invest, in addition, they may save several shipyards from the grave. Question is, Is the Chinese Government willing to let this industry never recover? What are the risks with taking some of these oil rigs from China? Once the oil rigs start operations, they may start to have equipment failures and prolonged downtime. 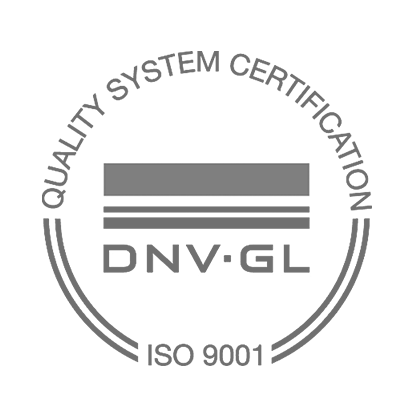 However, it can be minimized by establishing the proper reactivation plans that have cost control, good quality inspection, reactivation procedure, maintenance, and correct testing protocol. Many of these rigs are approaching 5 years of age requiring re-certification and OEM maintenance recommendations with full equipment overhaul. Additional maintenance will be required to ensure that there will be minimal problems once in operation and issues to resolve as per quality building standards. The cost range could be expected between $10M and $40M and in some cases especially where modifications are required more. In either case, it is the same as any downturn, only the brave or the smart will be the winners. So, what has been learned from the China Yard Boom? If you build in China, you need a solid contract. It is an absolutely absurd to rely on the shipyards management team to build a rig without an external experienced project team in place ( not just China, but especially in China). Differing interests will ensure the parties alliances lie in different acceptance criteria’s. It does not matter what industry we are in, financial markets, housing markets, rig markets, tech markets. There are always booms and busts, so financial planning is required especially in overly extended cycles of booms. Proper financial management, purchase arrangements, i.e. decent deposits and progressive payments are needed. We can be as sure as as the sun will rise tomorrow, there will be another boom; however, there moving forward it is expected there will be extreme caution from those that hold the money, as the wounds of the past 5 years have cut deep. There are definite signs of market recovery and there will be a fair amount of project work to reactivate stacked rigs in the near future. 2020 should see the return to normality in the market and what I believe will be a good year with projects and rigs that are going back into operation. 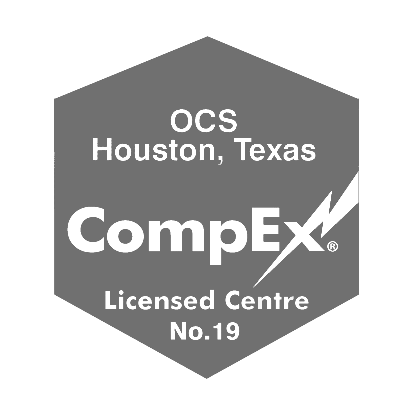 With 20 years’ experience, initially formed solely for commissioning, OCS is considered one of the market leaders in this area. OCS has had extensive experience in China since the early 2000. With this experience (in commissioning and project management) OCS can easily find where the main problems lay. OCS has extensive experience in China with many new build commissioning projects, and we understand the problems in China way before the boom started in the early 2000, and have continued working in the region. With proven processes in place and a vast sea of experience in commissioning and project management, we believe that we know where the main problems lay. Inspection and reactivation. Over the past several months, OCS has been active with rig inspections to get these rigs back into operation with several pre-hire inspections and the reactivation over site process. Feel free to visit http://ocsgroup.com/service/preservation-reactivation/reactivation/ to learn more about OCS Groups reactivation services. If anyone would like further information or assistance with rigs in China, please contact me for rig inspections or reactivation.